So thank you Hannah and here’s to all the other lovely blogs out there!!!! I’m a voracious reader. I was reading two grade levels ahead of my age when I was 5. Although I used to be a hardware tech in another life, I hate wireless connectivity. The security no matter how good is always more vulnerable to hacking. To that end, I don’t have an Ipad and use my laptop like a desktop. I understand the advantages, but I hate the risk. I like polish on my toes but hate having it on my fingers. It chips too quickly there. I like earrings. The bolder, the better!!! Although I’ve lived in NY for 12 years, I’ve never been to Ellis Island. This summer it’s a must-do. 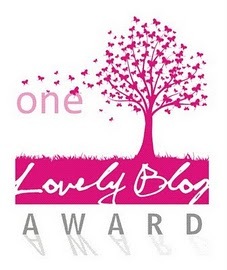 I’m also supposed to pass the award on to 7 blogs that are lovely. All of my nominees except for the one below have either gotten this award already. So I’m going to break the rules and award this to one of my favorite blogs — AutumnGeisha. Her work is phenomenal and she’s such a sweet, quiet and super encouraging presence. Her blog is another one that I visit every week and I get super excited with I see that she’s updated. We both are Jane Austen and ABBA (yes, the music group) fans — and I found out yesterday (from her Rav page) that she’s into counted cross-stitching also. Hop over to her spot, take a look, I promise you wouldn’t be disappointed! On my last trip to NYC with my mom, we visited Ellis Island. What an amazing experience. I could have spent all day there. I’ve visited most of the “touristy” attractions in NYC but Ellis Island, Governor’s Island and the Statue of Liberty are three I haven’t visited. I’ve ridden by the statue on my way to Staten Island, so I aim to visit at least once. Congrats on the award, I see we have a few more things in common. My toenails stay painted, but my fingernails… forget about it. Same views about technology, and I do use my Macbook Pro like my desktop. I still have the first big cross stitch project I made, afghan that has these gorgeous roses surrounding the afghan. It took almost a year to complete. It’s amazing how much (in general) people are more alike than different!!! Simply amazing. I’m glad to see that I’m not alone re my technology views. It’s scary to me how much info is stored on these wireless devices and how easily accessible it is for a stranger to get it.